The Augarten Flak Towers is one of the few reminders of the World War II battles that hit Vienna. These towers - and other similar towers - were built by to protect Vienna against allied bombings. Each tower had number of flak guns installed - from the famous German 88 mm. to smaller but more rapid-fire guns. 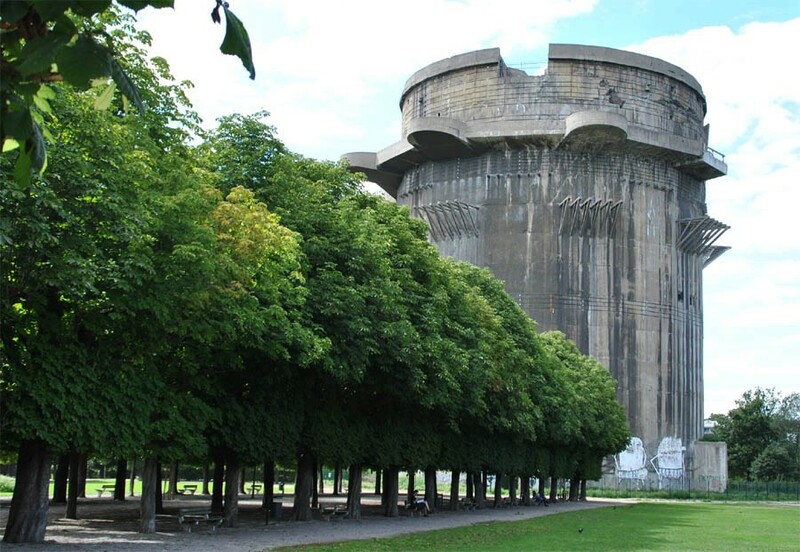 Today the towers - that are located in the Augarten Park - are not that well maintained but they still serve as a reminder of World War II. 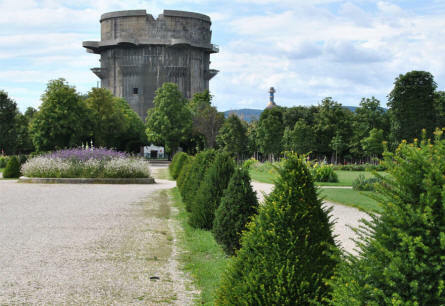 A round flak (anti-aircraft) tower in the Augarten Park in Vienna. This type of towers were called G-towers. The golden tower in the background is a part of a heating plant and trash incinerator. Details from one of the round flak (anti-aircraft) towers in the Augarten Park in Vienna. 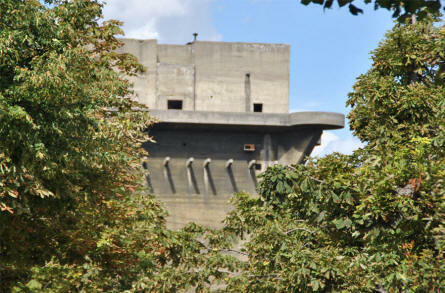 The tower had big guns in the centre and smaller guns at the platforms on the side. 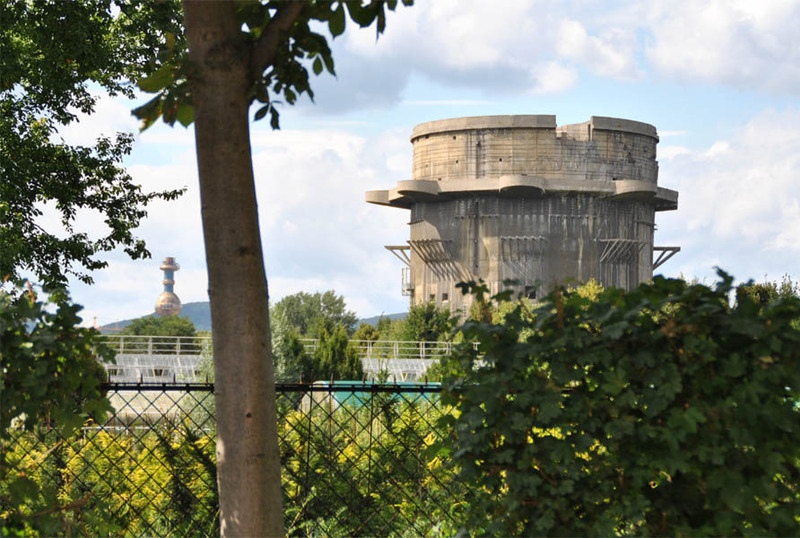 A round flak (anti-aircraft) tower in the Augarten Park in Vienna. The golden tower in the background is a part of a heating plant and trash incinerator. 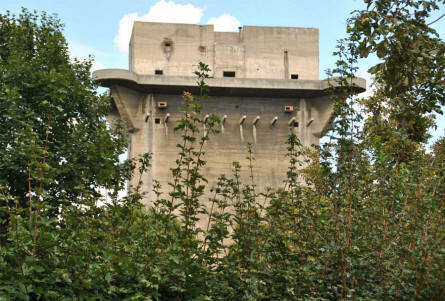 A square flak (anti-aircraft) tower in the Augarten Park in Vienna. This type of towers were called L-towers. 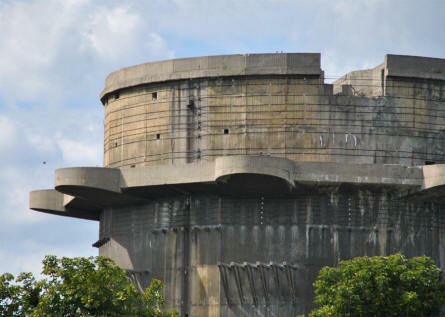 Details from a square flak (anti-aircraft) tower in the Augarten Park in Vienna. A round flak (anti-aircraft) tower in the Augarten Park in Vienna. Notice the size compared to the trees.